Hula Hoop Art! : This page is for anything related to hooping art! Feel free to share your artwork here! Paintings, drawings, paintings on hoops… any sort of hoop art is welcome. Hoop effects: Post photos of yourself hula hooping and people can edit and repost your photo with some awesome effects added. World Traveling Hula Hoopers: This is a group dedicated to all of us hoopers who have a passion for travel. In this group, you can share your amazing travel hoop pictures, stories, videos, etc. The group is now business and event free. Worldwide Hoop Events: As the worldwide hoop community grows this is a place where hoop-centric and hoop-friendly event organizers can share information about their events. Its also a place hoopers can share stories, images and videos from their event experiences, post reviews, constructive criticism, and recommendations of events they have attended. Events can be live festivals, workshops, trainings, classes and gatherings, or virtual, online experiences. You Know You’re Addicted to Hooping When………: Members can feel free to express their feelings and have a few laughs about their hooping journey as well as discussions on the addiction that we all have to hooping. 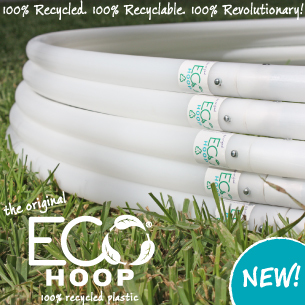 Free space for share and upload pics or videos that relate to your hooping journey. Everything But Hoops: Discussion from hoop-minded people about things that aren’t always hooping. Blossoming Hoopers <3: Here is a place where the blossoming hoopers to watch others blossom in their hoop journey and encourage them to do so and share with others how hooping has helped them. Hoop Bloops: Brand new group! Post your awesome hoop bloops here. Hoop Improvement: Brand new group! This is a group based on constructive criticism, creative solutions, and an heartfelt evaluation of artistic and technical movement expression. This is the place where you will get that feedback, where you can expect to be challenged, to see another’s viewpoint, to take your flow to the next level. If you think that this list has been useful to you please share it with another hoopers and be sure to follow Hoop Portal on Facebook! This entry was posted in Articles and tagged groups, hoop, hoopdance. © 2019. All rights reserved. THIS WEBSITE IS FOR SALE. If you are interested contact us through our Facebook page.